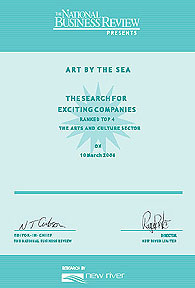 Art by the Sea gallery has been operating from the same premises for over 23 years. In that time the gallery has exhibited a huge range of emerging and established artists including authentic Maori carving and sculpture. The gallery prides itself on being 100% New Zealand made and we guarantee that the artwork represented here is created in Aotearoa. The gallery has a policy of introducing the unique story behind the artist and the artwork. To do this we hold regular exhibitions and talks about our collections to art groups and collectors. We have a regular newsletter that informs you of new artists, artwork and news about the gallery and special offers. We also have a special page devoted to affordable New Zealand art including sculpture, fine and contemporary paintings, prints, ceramics and pottery. Take a look through our collection and see why a piece of New Zealand art makes the perfect gift. His new collection, ‘The Inheritance Of Loss’, looks at the spaces left behind, each piece a specific location where a building has been lost. The exhibition’s title comes from the celebrated novel by author Kiran Desai. 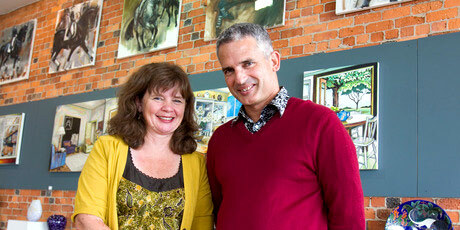 Andrew believes that, “collectively, the Christchurch of the future will have inherited an incredible loss. It’s the nature of grief that we want to close ourselves away. But everyone has to deal with it eventually”. While there are a couple of significant buildings many, “may appear as simply a dot on the map to many people”. The seemingly random nature of each location does not diminish the importance of the stories behind the places. Amongst the raw emotion of the work distinct concepts appear to highlight specific ideas. “I’ve recorded my thoughts on the absence of these buildings,” says Andrew, “but I’ve also looked at a greater perspective of the cityscape.” This approach has allowed for reflection on the city’s red light district, youth culture, religious background and inner city businesses, among others. Salon de Refuse section of the 2012 Wallace Arts Trust Awards. It occurs to me that patriotism is something ingrained within every New Zealander and that it should be encouraged and supported rather than replicated by a foreign country with little or no concept of the essence of our identity. 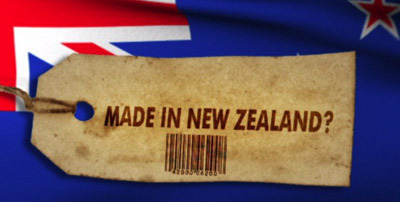 As a gallery and retailer of quality New Zealand art and craft we notice that our clients and customers look out for that one unique item that says something about their experience in Aotearoa. This cannot be replicated or copied. Maori call it Maoritanga (knowing who we are) or Mauri (life energy or force). When another country tries to copy this they only get the one dimensional aspect of the visual item and this then cheapens the experience for them. For example New Zealand Pounamu is not only different to Jade in colour and appearance but also in the Mana that Maori people have attributed to it. It is deemed Tapu or sacred as are the different artifacts and pendants that are carved out of it such as a Mere, Koru, Manaia or Hei Tiki. The same concept applies to paintings and 3d artworks etc produced by artists who put something of themselves into the works they create. This is not something that you can photograph, copy and re-distribute. This is the difference between mass-production and one-off original art forms. What needs to be conveyed to visitors and tourists alike is this uniqueness can come only from the country of origin and the people of that country who have a special connection with the land and the living of it. 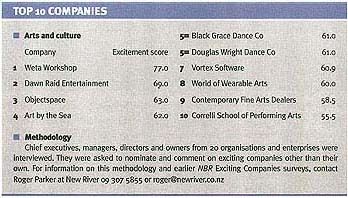 We would like to thank the National Business Review and Roger Parker at New River for this honour and to the people who voted for us we extend our heartfelt thanks. We are indeed grateful for the acknowledgement and will continue to provide an extensive and eclectic range of proudly "Kiwi" made artwork for your pleasure and enjoyment. Art by the sea gallery is a vibrant Auckland art gallery that specializes in fine and contemporary affordable New Zealand art. Our range includes oil and acrylic paintings on linen, canvas or metal, sculptures in steel, wood and stone, etchings and prints, cast-glass, ceramic and pottery, fine-art photography, corrugated iron sculptures, abstract and realist painting, jewellry, 3D art and original watercolors. 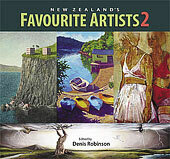 All from New Zealand artists some of whom have been with the gallery for over 20 years. Others are emerging and just starting in this exciting career. 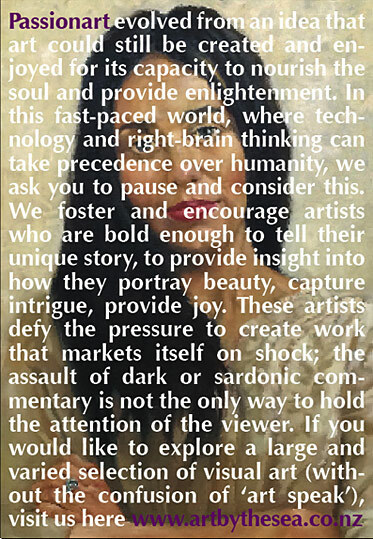 Each artist shares a passion for their chosen field and they are committed to their particular craft. We are honoured to present these stories and artworks to you for you to enjoy.